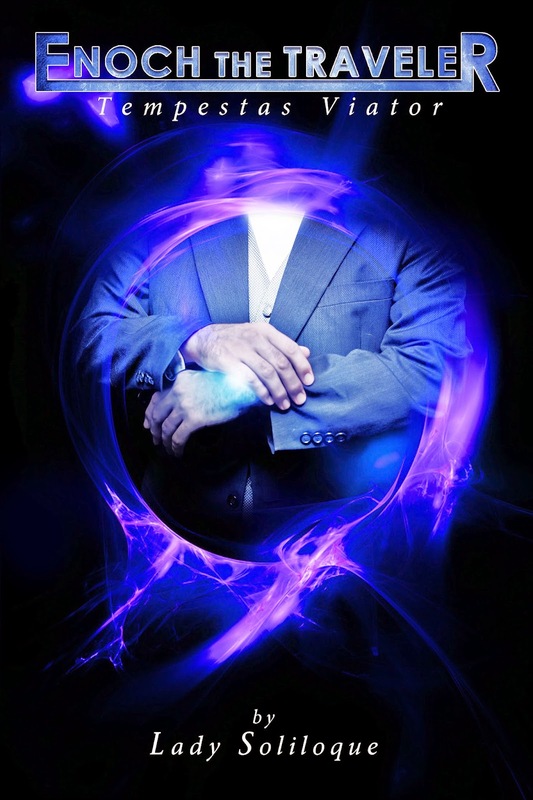 Enoch, The great Enoch, born into a world as a stranger, taken out of time to the Caelestis Concilium where he learned all the secrets of creation: the parallel dimensions, parallel worlds, and multitude of universes which make up the multiverse along with all of the races and beings that exist within them. An immortal existence surrounded by the Angelus and a millennia of knowledge, all that ever was and all that ever could be, distanced him from the humanity he was born with and he traveled through creation without purpose or empathy. Ultimately, his loss of humanity and inability to empathize caused a disastrous string of events in various universes and forced the Angelus to put him on trial for his involvement and imprison him. Tempestas Viator is the story of Enoch the Traveler, and of how he finds Violette, who changes the Caelestis Concilium’s ruling and leads him on a journey through the worlds and dimensions of the Multiverse to rediscover that which he has lost. Lady S is a genuine and bonifide Southern Lady. She is an author who also excels in video editing, audio production, public speaking, and hosting terrific themed convention dances. She adores guesting at and participating in SciFi conventions and she will be the first to tell you that above everything else she is a Geek and a Fan and all Geekie Fans need to have fun! The international release of her new Science Fiction series, Enoch the Traveler, was celebrated in 3 countries with a live streamed international release party on January 11th and followed up with a smashingly successful Barnes & Noble’s signing event the following weekend. The audio dramatization of Tempestas Viator, the first book in the series, is set to premiere February 22nd and includes an international cast along with well-loved BBC Doctor Who/Torchwood actor Gareth David Lloyd as the narrator. The excitement surrounding Lady Soliloque’s new series is palpable as it comes with a full line of exclusive costuming and merchandise from AbbyShot Clothiers, gadgets and reproductions from Warfire Forge, a full original composed score and theme, a licensed RPG to be released this summer, and a full promotional tour. 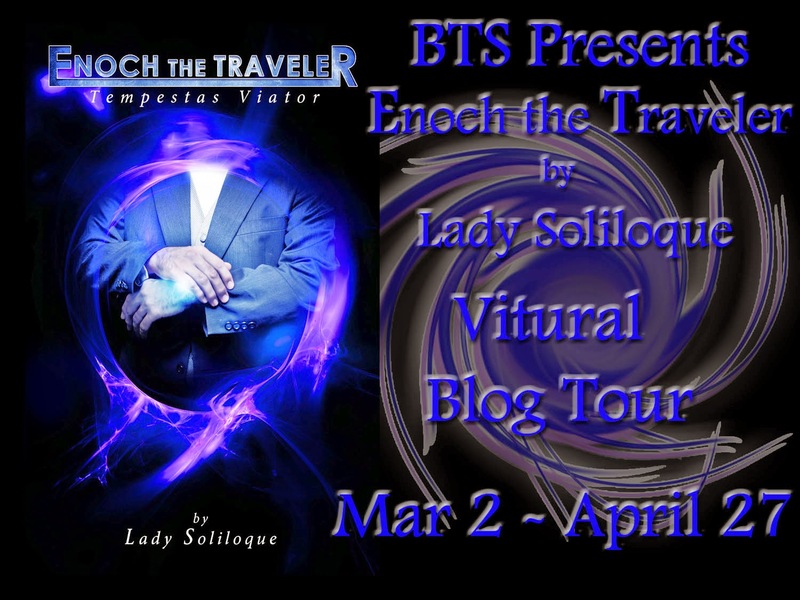 As an author Lady Soliloque has years of published credentials including short stories and the popular original novels, The Oubliette 1 & 2 and Immortalis Venatio, but her fan base exploded when she wrote the four book Doctor Who novel set, Tempus Temporis. The Doctor Who novels were so successful that she turned them into an audio drama in the style of Big Finish, complete with a worldwide cast and full 3D sound effects. Two seasons, 13 episodes, behind the scenes tidbits, and over a million downloads later, Tempus Temporis was nominated and received several awards, most recently an honorable mention from the Geekie Awards. In her spare time, Lady S creates and edits Fan Videos which she posts on her YouTube channel and shares with several fan pages and websites. Her award winning videos have also increased her fan base immensely, clocking over a million channel views. Lady Soliloque is currently scheduling the Enoch promotional tour along with Gareth David Lloyd, who is co-guesting with her, and her amazing team of cast and crew.